One of the regrets of people who are in the caring professions (I will include Pastors in this bracket for today) is that we can't help everyone. 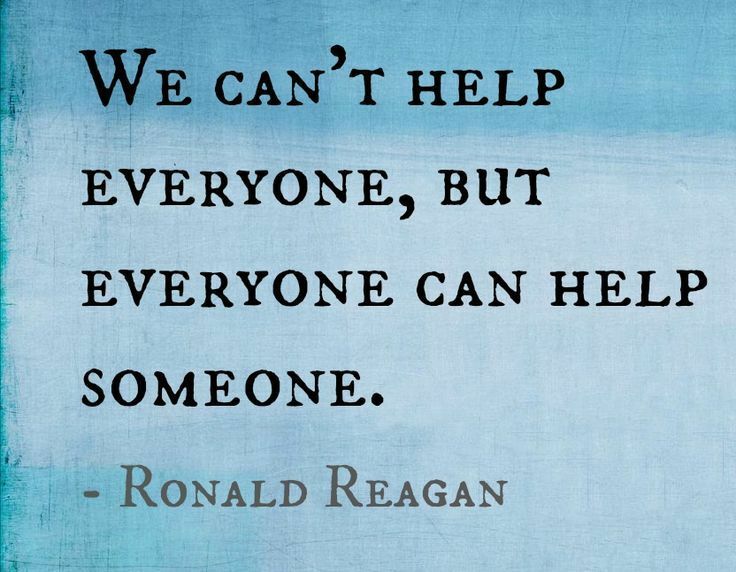 It is always my desire to try and help as many people as possible, but inevitably I will disappoint someone. I have learnt to stop beating myself up about this, but it does make me disappointed in myself at times. The reality is that there will always be something "unfinished" and we have to trust in God's provision for all people. Thankfully, the Lord gives us ALL a helper - the Holy Spirit - and He is with us always. 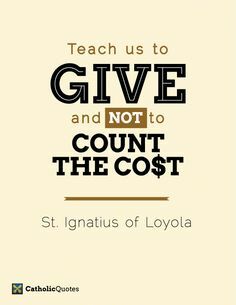 John 14:16 - "And I will ask the Father, and he will give you another advocate to help you and be with you forever." Psalm 10:12 -"Arise, Lord! Lift up your hand, O God. Do not forget the helpless." Psalm 18:6 - "In my distress I called to the Lord; I cried to my God for help. From his temple he heard my voice; my cry came before him, into his ears." 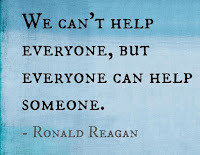 I like the quote from Ronald Reagan, which is attached - "We can't help everyone, but everyone can help someone." Who is your "Someone" today? 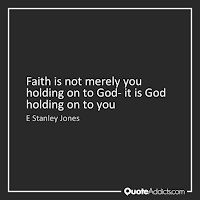 “Faith is not merely your holding on to God-it is God holding on to you. 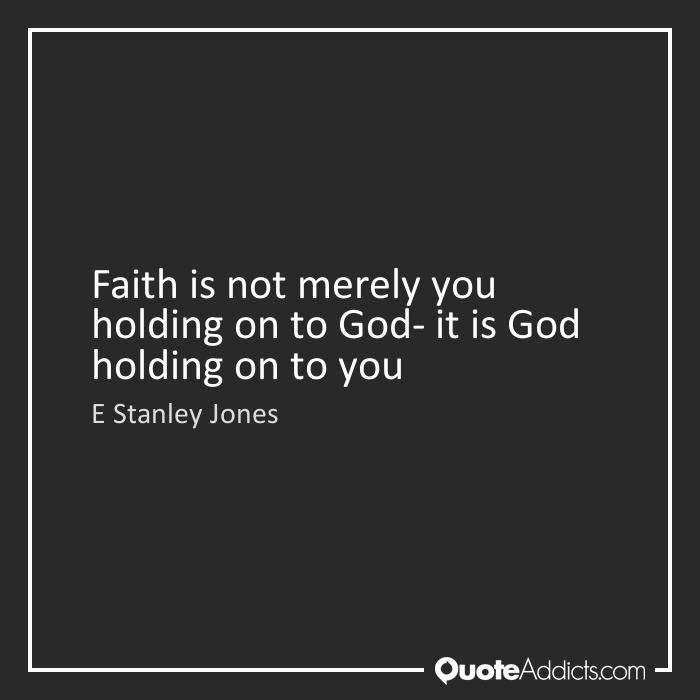 He will not let you go!” - E. Stanley Jones. 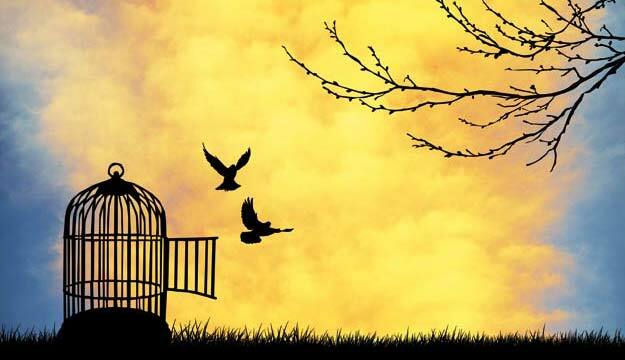 2 Corinthians 3:17 -Now the Lord is the Spirit, and where the Spirit of the Lord is, there is freedom. Freedom day holds so many connotations for South Africans, especially in the realm of Human Rights and politics. I am grateful for the many aspects of Freedom that we have been blessed with as a Nation, but I most indebted to Jesus for my FREEDOM from sin. The Love of Christ sets me Free from the pain of sin and death. 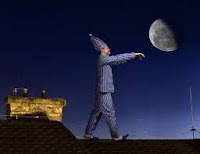 When you ask a 'sleepwalker' if they remember doing this, almost everyone says they have no recollection of the experience. If we are going to 'sleepwalk' though LIFE then we are not going to remember all the experiences that come with this gift. I know that some experiences are tough, but there are many amazing gifts that God gives to us. Paul urges us to keep our eyes open and to be smart - this is sound advice.What do you think? 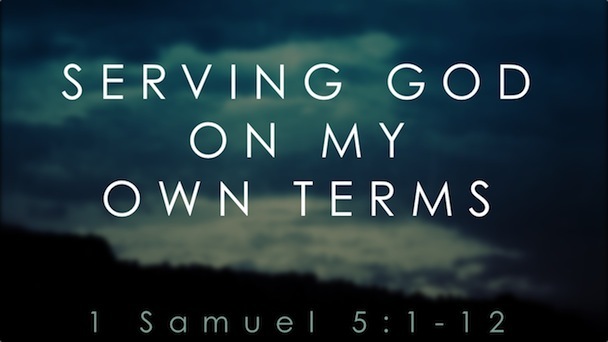 knowing that only that which you bless will prosper. It was the repeating of the words that contained the "Un"that got my attention. There are a number of things in our lives that are left incomplete - some of these don't really matter in the grand scheme of things, but others do. 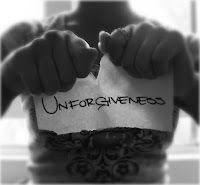 For example, a number of us still struggle with "UNforgivenss" - this can be so debilitating for us and well worth resolving. 2 Timothy 3 - But mark this: There will be terrible times in the last days. 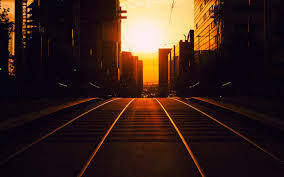 2 People will be lovers of themselves, lovers of money, boastful, proud, abusive, disobedient to their parents, ungrateful, unholy, 3 without love, unforgiving, slanderous, without self-control, brutal, not lovers of the good, 4 treacherous, rash, conceited, lovers of pleasure rather than lovers of God— 5 having a form of godliness but denying its power. Have nothing to do with such people. he was talking, praising God! around the country. Wasn't that a 'God' moment - a surprise of sorts? Of course it was. what no human mind has conceived”— the things God has prepared for those who love him—"
Have a wonderful day and may God surprise you. We are brilliant at negotiating our way through life. If I do "this", then I expect "that" in return. When asking about the price of something, we are often looking for the discount. We want things on our own terms. The trouble with an attitude like this, is that we begin to think that we can have God on our own terms also. Deuteronomy 29:9 - Carefully follow the terms of this covenant, so that you may prosper in everything you do. 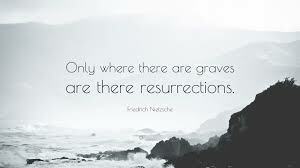 Frederick Nietzsche once remarked: "Only where there are graves are there resurrections." I found that I needed to read the quote again and again. Of course, it is so straight forward. We can only experience a resurrection - a rebirth - a renewal, where there has been a death. John 12:24 - "Very truly I tell you, unless a kernel of wheat falls to the ground and dies, it remains only a single seed. But if it dies, it produces many seeds." In longing for the NEW thing, let us not forget that the OLD needs to die first. The volatile situation in our country has got a lot of us on our knees again. People have been called to a massive nationwide prayer event in Bloemfontein this weekend and we trust that all these prayers will make a difference. For those people who can't travel across country to this event, the churches in Hayfields are getting together to pray on the 22 April from 2-3pm. If you want to be part of this prayer time, please come along and join us. We are going to be meeting at the St Matthews Church in Hayfields - they have a lovely outdoor area, where we can sit and pray together as a community. Please pass on to anyone who may be interested. Psalm 17:6 - I am praying to you because I know you will answer, O God. Bend down and listen as I pray. God doesn't give us everything we want! We have been tricked into believing that we can "name and claim" anything in the name of Jesus, but when those prayers are not answered, then we feel let down or betrayed by God. I am sure that Bonhoeffer prayed for his safe release from prison, during Hitler's reign of terror, but that never happened. God kept his promise to be with Bonhoeffer through all his struggles and suffering. I believe that God also welcomed Dietrich into His Eternal Home with open arms. 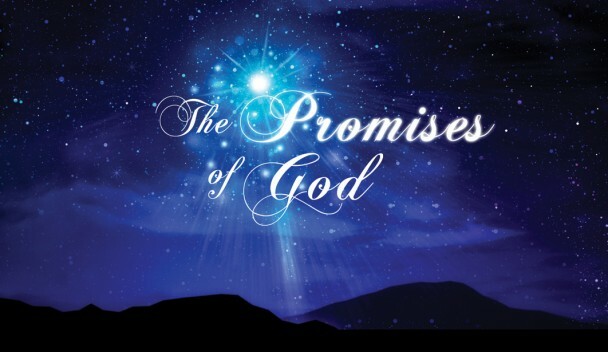 2 Corinthians 1:20 - For no matter how many promises God has made, they are “Yes” in Christ. And so through him the “Amen” is spoken by us to the glory of God. When we read this Psalm, in light of the Resurrection, we can draw so many wonderful insights. The fact that Jesus defeats his enemies and haters is brilliant. The failure of the schemes and plots of the religious leaders is classic. 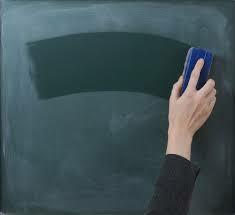 However, the part I like the best is the promise that God "wipes the slate clean." Jesus' resurrection reminds us that our sins have been paid for and that God wipes the slate clean. This Easter has been another reminder of how Jesus gave of himself completely for us. He worked for our salvation and sought no rest. He laid everything down, so that we could be reunited with the Father. Today was a beautiful day. The sun seemed to make everything shine so clearly. Or maybe it was because yesterday's rain had washed the earth so clean. 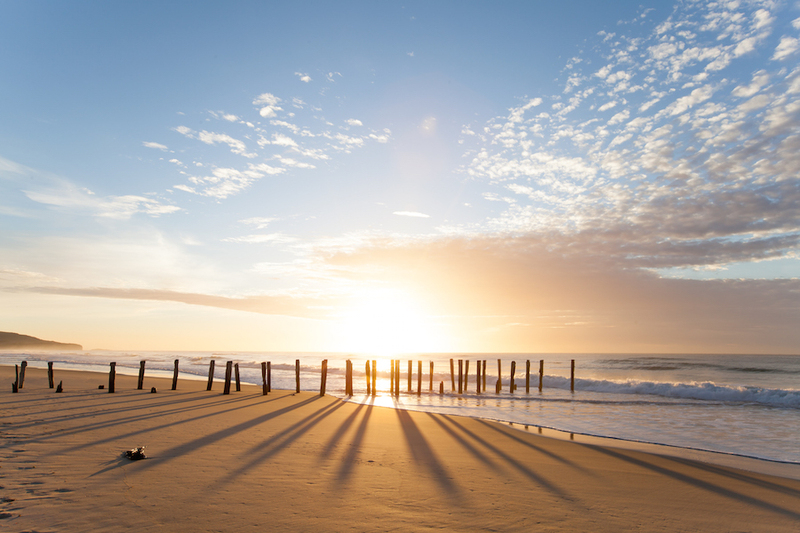 Whatever the reason, I couldn't help but reflect on how even though the Cross seemed to bring complete darkness and desolation on the land, the glory of the resurrection (the sunrise) brings a total new complexion on life. Never lose hope when the rain comes - the Sun will rise again and will bring new life to all. 2 Samuel 23:4 - "... he is like the light of morning at sunrise on a cloudless morning, like the brightness after rain that brings grass from the earth.’"
There is only one thing to say at a time like this: Thank you, Lord! I am thankful that the God of all creation gave us the most precious gift of all - His only Son, to be our ransom. God you not only sacrificed Jesus for our sakes, but you also gave us the gift of the Spirit to be our Comfort. How incredible is that gift? Thank you Jesus. 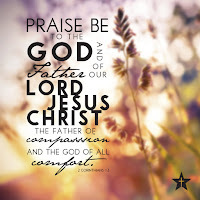 2 Corinthians 1:3 - Praise be to the God and Father of our Lord Jesus Christ, the Father of compassion and the God of all comfort. Before you rush off to start another day, pause for 60 seconds to thank God for all He has done for us. "Today is going to be a struggle. If this prayer helps you today, then please feel free to pass it onto someone else. I am grateful to John Birch for the prayer. In our struggles let us always remember that we are NEVER alone. Easter should be a reminder to us that even though we face dark times in our lives, the sun (Son) rises again. 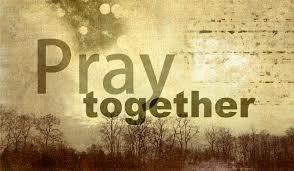 1 Kings 8:57 -May the Lord our God be with us as he was with our ancestors; may he never leave us nor forsake us. 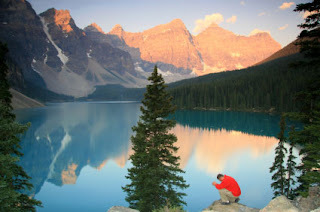 In the context of great political upheaval, as well as the greatest week in the Christian calendar, it seems appropriate to consider a prayer of true humility. 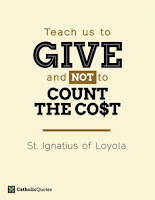 I believe that leadership is a huge gift, responsibility and burden, but we should bear it with Christ-like humility. Jesus' attitude of obedience and humility won him billions of followers - so, surely we would do well to emulate his heart. This prayer is adapted from a prayer written by William Barclay. This we ask for thy name’s sake. Amen."